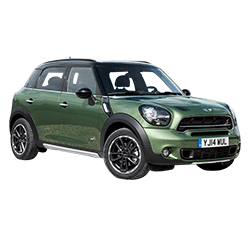 The 2015 MINI Cooper Countryman is one of the most entertaining and distinctive small crossover wagons available, combining the distinctive Mini styling and agile handling with the ability to carry five people and luggage for a weekend away. The Countryman comes in base Cooper, sporty Cooper S, all-wheel-drive Cooper S ALL4, and top-of-the-line John Cooper Works (JCW) levels. It ranks 16 out of 24 Affordable Compact SUVs according to US News, but earns top marks in safety, and boasts a veritable cornucopia of customizable features. The Countryman gets a new grille, and most ALL4 models get standard underbody guards, which are optional for the front-wheel-drive models. Both automatic windshield wipers and automatic climate control now come standard across the line. LED foglights with daytime running lights are optional on the base Countryman and standard on S and JCW versions. There are new 17-inch alloy wheel designs, and new exterior paint colors. The Countryman interiors are as charming as those in other Minis. The retro theme features a big round speedometer in the center, a collection of small switches and buttons, and more roundness throughout the cabin, such as the door pulls, tachometer, and air conditioning vents. Like every Mini, it offers unique and unmatched driving enjoyment for the money. Even though the Countryman might lack a bit of the quickness of the smaller models, it still feels snappy and crisp when dealing with roadways that zig and zag. The estimated city/highway fuel mileages are among the best in its class. The city/highway fuel mileage estimate is 27/34 with the base inline 4-cylinder engine with manual 6-speed transmission and 23/30 with the turbocharged engine and 6-speed auto-manual transmission. Unlike smaller Minis, the Countryman offers enough head and leg room to accommodate 6-foot passengers in front and back rows with the rear seats moved back. Entry is much easier than in the smaller, lower-slung Minis thanks to the fairly high-set seats combined with good-size doorways. The leather seats are comfortable and do a good job of holding occupants in place around fast turns. Uncluttered driving sightlines afford an excellent view of the road ahead. The turbo engine growls enthusiastically near redline while the manual transmission is a joy to use with well-orchestrated clutch and shifter action. The Countryman receives the highest possible marks from the IIHS as a Top Safety Pick+. All models come with an extensive suite of safety features such as anti-lock brakes, corner brake control, multiple airbags, and stability and traction control. The optional MINI Connected Infotainment system integrates with smartphones via apps running on a display screen in the center of the dashboard and is operated by a center console joystick. Internet-based services include infotainment, communication, and driver experience. The Countryman boasts a cornucopia of options and features: a Cold Weather Package with heated windshield washers and heated front seats, a Technology Package with a premium sound system, satellite radio, and upgraded MINI Connect apps, a Premium Package with remote keyless entry/ignition and power-tilt sunroof, a City Package with auto-dimming rear-view mirrors, remote antitheft alarm, and rear parking sensors, and a standalone GPS navigation suite. The Countryman shares some of the same drawbacks as smaller Minis, including a stiff ride and fairly high noise levels. In-cabin storage is scarce. Small-item storage within the driver's reach is stingy or nearly useless. The Countryman's secondary controls are arranged in a whimsical, sometimes illogical fashion around the centrally placed speedometer which is somewhat below the driver's line of sight. Tiny controls on the Countryman's dashboard and console make it difficult to adjust climate and audio settings. An optional infotainment system has a small 6.5" screen, and its joystick is distracting to use. While the Countryman is the largest model in the MINI Cooper line, it’s one of the smallest crossovers currently offered on the market. It competes with the Buick Encore and the Nissan Juke, as well as the Jeep Renegade, Mazda CX-5, Chevy Trax, Fiat 500X, and Honda CR-V. 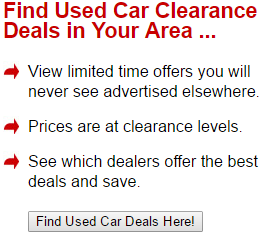 Within this price range, though, other crossovers offer more room and comfort. The trade-off for the Countryman's sharp handling through tight turns is a relatively stiff ride in contrast to a more traditional and roomier sporty crossover like the 2015 Ford Escape or Mazda CX-5. At Countryman JCW prices, other competitors might even include the new 2015 Audi Q3 or BMW X1. The Countryman's 42.2 cubic feet cargo capacity is noticeably less than that of larger crossovers such as the Ford Escape, Mazda CX-5, and Kia Sportage. If you have always wanted a Mini but require a more practical vehicle for your daily driving responsibilities, the four doors, rear liftgate and 42.2 cubic feet of cargo space might make the 2015 MINI Cooper Countryman your vehicle of choice. While the Countryman is a niche offering, it's ideal if you want a vehicle that's fun to drive, is highly customizable, and somewhat practical. If you seek a compact crossover with better space, refinement, and value, you should look elsewhere.